Let's Barbecue, Barbeque, Cook Out, BBQ, Grill! It’s summer time and many traditional past times are being enjoyed everywhere. One exciting — and tastefully rewarding — activity that takes place heavily during the warmer months is grilling. Whether you refer to it as grilling, cooking out, barbecuing, BBQ, or something else…the basic idea is this: cooking meats and vegetables over an open flame or heat source (direct or indirect) that has been produced with wood, charcoal, electricity, or gas. For the casual griller, there is a wealth of information on the Internet that can be used to your advantage when looking to purchase a grill. What features do you need? Do you want a gas grill? Electric? Propane? Natural gas or charcoal? These are questions that you need answered first. The next thing you need to do is find out what to look for in a grill and what to avoid. Our goal is to touch on the two most popular types of grills (gas and charcoal) and point you in the right direction so that you will be able to choose the grill that best suits your needs and desires. By far these are the most popular type of grills available. The majority of gas grills use propane gas which allows a bit more portability to your grill. The use of small propane canisters has allowed some grill manufacturer to design and offer very small, portable grills that are ideal for camping, tailgating, or afternoons at the park. Grills that use natural gas are also available, but they are generally stationary and not portable at all since they require connection to a natural gas line coming from your home. Gas Grills have a couple of unique advantages over regular charcoal/wood grills or smokers. Gas grills are easily started, reach cooking temperatures quickly, maintain constant temperatures, and shut down easily when you’re finished. Cast iron, cast aluminum, sheet metal, and stainless steel are the most popular types manufactured. Cast aluminum and stainless steel grills offer the best durability and strength for your money. The grill you choose should have two or three burners in order to offer greater heat control. A good temperature gauge is essential in order to monitor and maintain proper cooking temperatures. Good, adjustable heat control valves that allow you to accurately regulate the size of the flame and temperature. Good cooking grids/grates. Low budget grills will come with just a brushed stainless steel grid for use as a cooking surface. If you’re looking for a slightly higher quality grill, look for one that has solid stainless steel bars, ceramic grates, or porcelain coated bars that will maintain heat more evenly, keep your food from sticking to the cooking surface, and give you years of quality service. Self Igniter (no need for matches or lighters). Viewing window — while it may be difficult to keep clean, it’s a nice option to have so that you can avoid the smoke and avoid losing grill temperature in order to visually inspect your food items. Outside shelves — these are extremely convenient and will be appreciated when you need to keep your accessories handy. Side burners — many new grills come with a side burner. For folks who want to cook a side dish while they’re grilling, this is a nice option (eliminates the need to cook inside the house and outside at the same time). The drawback is that a side burner reduces available shelf/countertop space. About.com has a good, detailed list that features 10 gas grills for under $250. This list offers details about each of the grills, which in turn will allow you to do some comparison shopping before you purchase a grill. If you learn best by watching, we encourage you to view this good series of “how to” videos on how to barbeque with a gas grill from eHow.com. There are 15 videos and they cover a wide variety of topics associated with using and maintaining a gas grill. There’s something appealing to many people about cooking over charcoal. The aroma and flavor produced by great charcoal is unrivaled. 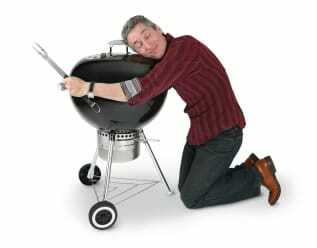 While it’s possible to get into the “grilling scene” in a much cheaper fashion by purchasing a charcoal grill, the longevity of your investment may also be dramatically reduced if you don’t choose a good grill. In order to do it effectively, there are several things that need to be considered when looking to purchase a charcoal grill. Several of the desired features are the same as those listed above for gas grills (temperature gauge, good cooking grids/grates, and shelves). Airflow control — the ability to hold a set temperature is extremely important for a charcoal grill. The presence of large, easy to maneuver vents is critical to the success of your grilling experience. Direct or Indirect? If you want to be able to indirectly grill chicken, ribs, or other tasty dishes, you need plenty of space to build a fire on one site and still have room on the other side for cooking. Sturdy insulated handles. Whether it’s a gas grill or a charcoal grill, you need to be able to open the lid without getting burned. Cheap grills have thin washers/insulators between the grill body and the handle. Look for a grill that has a good, thick handle with good insulators. Grills with two movable cooking surfaces will allow you to cook a greater variety of items at the same time. Heavier is better. Thin metal grills simply will not last. Look for thicker gauge metal or cast iron grills. These generally weather better and will give you better service over several seasons of use. About.com has a great article that lists their top 10 charcoal grills, their features and where they are available. This is a useful tool if you’re interested in purchasing a charcoal grill. Generally charcoal grills last longer than gas grills simply because they don’t have as many complex, moving parts. Of course they take longer to get going and lack the convenience of a gas grill. But, they offer you the ability to give your food authentic, smoky flavors based on the type of charcoal and wood chips you use. Also, while charcoal grills tend to be less expensive than gas grills, the fuel cost (over time) is higher and will balance out the equation over time. When you are ready to start shopping, there are several good places to look for a good grill that will be within your budget. We strongly urge you to shop on the Internet first. Often times, many of the websites for the “big box retail stores” contain special pricing. Check out the websites for Walmart, Sears, Home Depot, Lowe’s, Sam’s Club, and Costco as these retailers often feature relatively inexpensive grills with the features you need. BBQ.com, a ShoppersChoice.com store, is also a great resource for comparison shopping for myriad grills, smokers, and accessories suited to any budget. 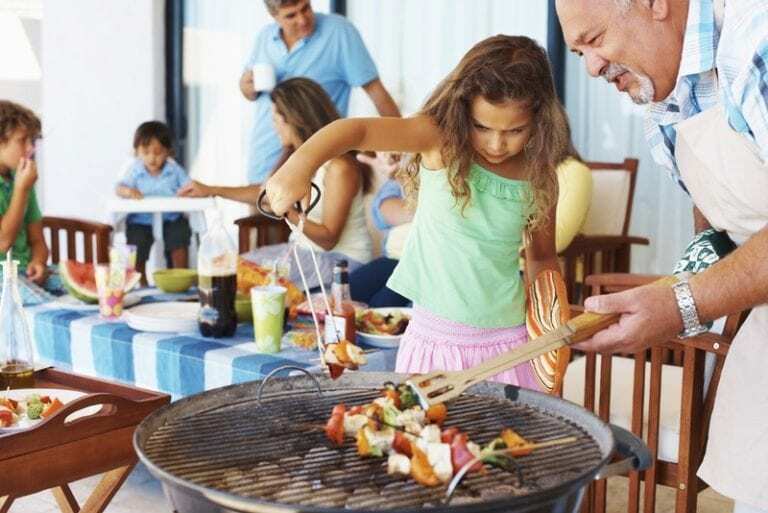 We hope that these tips, links, and suggestions will be useful to you when choosing your new grill and you enjoy all of your tailgating, holiday cook outs, and backyard culinary adventures this summer!